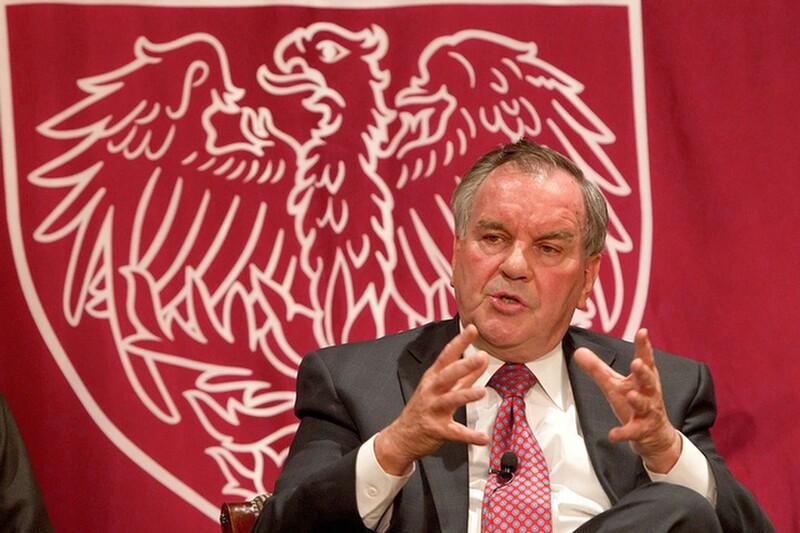 Former Mayor Richard M. Daley announced his appointment as a distinguished senior fellow at the Harris School of Public Policy during a news conference Tuesday morning at International House. Daley’s five-year appointment as a distinguished fellow, effective at the start of the 2011–12 school year, will not see him at the head of a classroom. Rather, he will coordinate a number of guest lectures by a variety of world leaders with whom he has worked, with focus being on the city itself. Speaking at the press conference, President Robert Zimmer expressed excitement about the educational involvement of someone so deeply involved in Chicago policymaking. “We believe that his extensive practical expertise will bring an important perspective to vital urban policies,” President Zimmer said. In an interview yesterday, Zimmer stressed that Daley’s experience in bridging the gap between making and implementing policy would be an asset to the Harris School. Harris School Dean Colm O’Muircheartaigh described Daley’s appointment as a “crucial component” of the School’s urban policy studies, adding that the former mayor’s experiences will provide unique lessons into policy implementation that faculty alone cannot provide. According to O’Muircheartaigh, Daley’s experiences in the often fiery world of Chicago politics makes him a strong fit for collegiate academia. During Daley’s stay at the University, he will coordinate 10 lectures, inviting speakers from the network of urban leaders he has worked with over the years. “Daley will take advantage of the enormous amount of people around the world who think about and work on urban renovation,” Zimmer said in an interview. While Daley’s appointment will only last five years, O’Muircheartaigh joked that the man who presided over 22 years of Chicago’s history could stick around for far longer than that. “I enjoy keeping busy, and I’m not one to just sit back and watch the flowers grow,” Daley said.